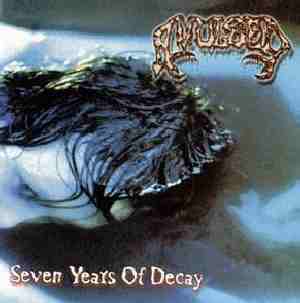 Tribulacion Productions / AVULSED "Seven Years Of Decay"
Tribulacion Prod. in cooperation of Quirofano Prod. present to you a Brutal and representative band into Death Metal scene. On this cd you can appreciate the development since this first demo until the prior step the second album. All these tracks are just non-albums recordings and have been played with differents line ups. 16 traks in 64 minutes of real Death Metal feelings ;including great digicd in color cover and quality sound .Really extreme!!! 2. Addicted to Carrion(Real Audio Sample). 4. Ecstasy For Decayed Chunks. 7. Achieving The Perfect Deformity (Intro).